A BDD, behaviour driven development, testing framework written in Swift. You can use Spectre to write and run tests without depending on XCTest. Spectre is currently only supported by the Conche build system. Simply add a test_spec to your Conche podspec depending on Spectre and it will run your tests with conche test. 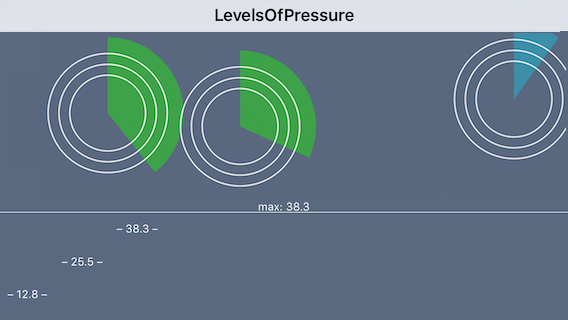 iOS app for iOS 8 and up, showing pressure sensitivity of touches for pre-6S hardware. There is no magic going on here, as the author says: “Yes, it’s really the major radius of the contact area of the touch, but close enough for you to play around with it.”. Siesta is an “iOS REST Client Framework”. It takes a different approach to networking shifting the focus from the network requests to the resources that the app is interested in. With Siesta your view controllers register themselves as observer on REST resources, and get notified when these change. I appreciate the honest comparison between Siesta and the other major frameworks available for iOS, which shows how the author are not trying to sell you Siesta as the one size fits all solution, but just encourage you to try it out. And I encourage you to do the same. A generator of random values. It supports the usual suspects like Int, Bool, String, but also more advanced entities like names, gender, and the roll of dices. Note: the project doesn’t support CocoaPods nor Carthage yet. What a good occasion to open a PR and contribute! A custom replacement for UIPickerView aiming to provide a lot of customization options. Dip is a dependency injection container framework for Swift. The README does a good job at explaining the advantages of dependency injection, an it is worth reading just for that. Mac app for managing local Xcode provisioning profiles and, in particular, deleting them.